Like good dinner dates, the best food podcasts are entertaining, informative and celebratory about food. 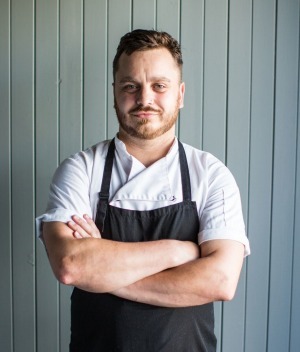 "It's a form of media you can listen to whilst you're walking to work, at the gym, or prepping in the kitchen," says Simon Evans, chef and co-owner at Caveau in Wollongong. 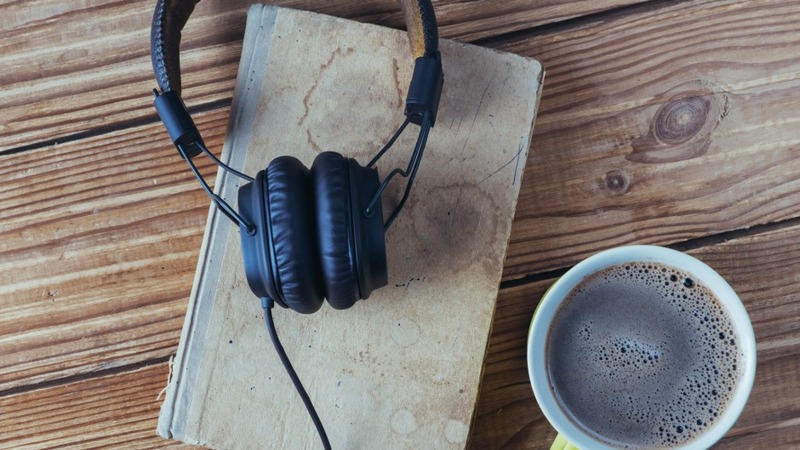 Plug in your headphones and check out the podcasts Melbourne and Sydney chefs listen to, learn from, and recommend for food lovers. 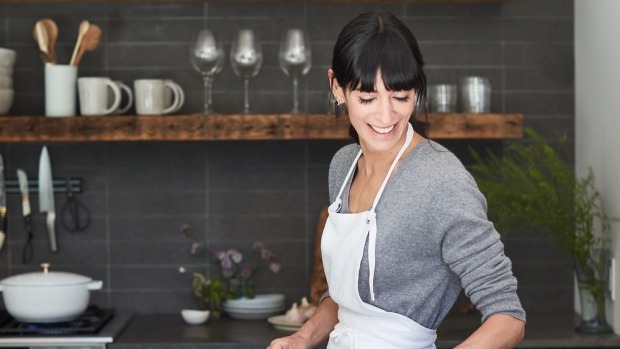 Kerry Diamond, co-founder of indie magazine Cherry Bombe, interviews the coolest, most creative women in the world of food, encompassing bakers, pastry chefs, cookbook authors and more. It regularly gets lauded in online foodie forums for good reason. "I love the relaxed vibe of the interview," says Yoko Inue, Owner and Chef at Melbourne's Shoku Iku, "I also enjoyed more controversial subjects such as the "me too" movement in the hospitality scene.I especially loved the Super Women, Super Foods miniseries." If you like your foodie talk with a good shake of swearing and dry wit, Australian podcast The Mitchen is your cup of (beer-flavoured) tea. Recent guests have spoken with authority on the best places to eat in Cambodia, the realities of running a pop-up diner, and the portrayal of women chefs in the media. "We listen to Mitchen in the Kitchen during prep," says Evans of Caveau. "It's honest, open chat about food & hospitality related trends and issues." Executive Producer of The Pass, Sam Kennedy says, "Podcasts create an incredible sense of immediacy and intimacy." Recorded live on site, the sounds of pots, pans, kitchen clangs and chatter provide a real world soundtrack that makes you feel like you're smack bang in the middle of service. Sam and co-hosts Magdalene Roze and Jeanine Bribosia have a hit list of high profile guests: "We set about collating a list of the high-profile chefs and food personalities we knew personally and knew had great stories and up-and-coming stars like Josh Niland, Palisa Anderson, Victor Liong and Morgan McGlone," says Sam. Nelly Robinson, owner and executive chef at nel. Restaurant, nominates this as his favourite podcast. "I like to hear about what other chefs are up to and what ingredients they're working with. I like knowing what's happening in the world of other chefs." Episodes of this eclectic and deep diving podcast drop each Monday, and there's many who's weeks aren't complete without it. From the back stories of the the producers featured in the Food and Farming Awards 2018 to the history of salt, the sugar tax debate, young vegans and more, there's much to digest. Lennox Hastie, head chef at Firedoor, nominates his three top episodes: "Chef who Vanished – The Story of Jeremiah Tower, Alistair Little – A life through food, and Leah (Dooky) Chase - the cook who changed America." 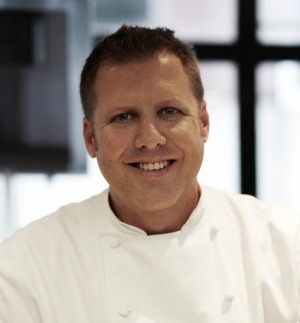 " The Food Seen is a really interesting podcast", says Ross Lusted, owner and chef at The Bridge Room in Sydney. "Topics range from Tokyo New Wave with Andria Fazzari talking about next gen Japanese chefs, through to a talk with fourth-generation Jewish bakery Zaro's,through to Real Vinegar with Mariangela Montanari of La Ca Dal Non," he says. Evans has podcasts playing in the kitchen to soundtrack his working hours. "Recently I've gotten into The Unbearable Lightness of Being Hungry, which is just the best name for anything food-related. I also listen back to my own food/hospitality podcast that I do with Andy Burns from Babyface Kitchen and Steff Posthuma from Quicksand Food." Evans, Burns and Posthuma are behind The 'gong Show, which manages to weave the political with the porcini into episodes that run approximately 90 minutes. "This is a great podcast that helps inspire our menus; what travel trends I should be thinking about and which destination should be on our four month rotation next," says Charlie Carrington, head chef at Atlas Dining in Melbourne. "I listen to a lot of wine podcasts," says Evans. "After hearing Mac Forbes on the Intrepid Wino podcast, I contacted him when I went to the Yarra Valley and spent some time with him and his wine maker, Austin." Joy FM'sThe Escape Hour combines food, travel and interviews. A recent highlight was chef Luke Headon of Melbourne's Collins Quarter, talking about working in Byron Bay, London and Melbourne. Russ, Mark, Tad and Stephane co-host. Burnt Toast - snackable dinner-party fodder - all inside of a commute's time. A Taste of the Past - Culinary historian, Linda Pelaccio, takes you on a weekly journey through the history of food. KCRW Good Food "Fairy godmother of the LA food scene" Evan Kleiman's taste of life, culture and the human species. Gas v induction cooktops, what is your pick?